Tuscany Walnut 16 Sqft Per Kit French Pattern Honed, Unfilled, Chipped And Brushed ravertine tiles feature a light walnut tone with lighter variations. 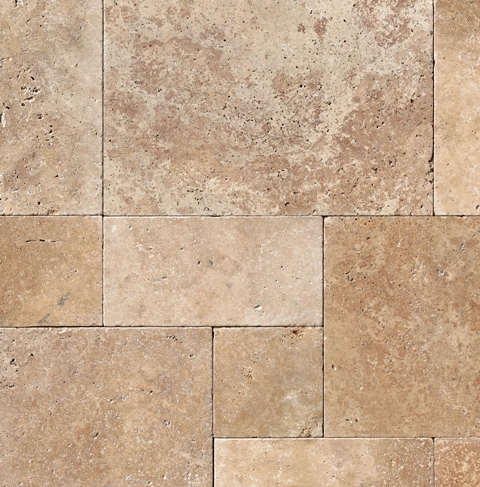 Tiles are available in a wide variety of coordinating pieces including mosaics, interlocking, basket weave, and more. It is recommended for interior usage in both commercial and residential properties.